Pollution, both of air and water, has assumed serious dimensions and it entails grave implications for the living organism. Viewed in a broad perspective, pollution is the initiation of contaminants into an environment that brings about instability, disorder, harm or discomfort to the physical systems or living organisms they are in. Pollution can manifest itself in the form of chemical substances, or energy, in the form of noise, heat, or light energy. Contaminants can be foreign substances or energies, or naturally occurring. Pollution is generally divided into two categories – point source and non-point source. Point sources of pollution occur when harmful substances are emitted directly into either atmosphere or water. A non-point source delivers pollutants indirectly through environmental changes. e human history because the human activity has been impacting upon the environment since the Paleolithic era during which the ability to generate fire was acquired. Undoubtedly advancement of civilization culminated in the increased use of water for manufacture of goods, increasingly forged metal and created fires of wood and peat for more elaborate purposes. Still, at this time the scale of higher activity did not disrupt ecosystems or greatly alter air or water quality. Until the early middle ages, the declining industrial activity and gradual growth in population levels proved a great blessing for the environment. However, the subsequent period saw rapid pace of industrialization and urbanization, thereby increasing the levels of pollution in air and water. Lack of awareness for health concern, environment pollution and absence of adequate means of transmission of knowledge resulted in non-appreciation of the worth of clean and pollution-free environment. It is noteworthy that concern for pollution and its adverse impact on human health was expressed in Arabic medical treatises written between the ninth and thirteenth centuries. With the advent of Industrial Revolution, the concern for air pollution also increased. However, Chicago and Cincinnati happened to be the first two American cities to enact legislation in 1881 ensuring cleaner air. Other cities followed suit subsequently. The growing public concern in the United States about increasing levels of pollution between the mid-1950s and early 1970s, led American Congress to pass the Noise Control Act, the Clean Air Act, the Clean Water Act and the National Environment Policy Act. The advent of nuclear technology brought in radioactive contamination, which can remain lethally radioactive for hundreds of thousands of years. The Worldwatch Institute named Lake Karachav and Chelyabinsk, both in erstwhile Soviet Union, as the two most polluted spots on the planet, where former Soviet Union used to dump its nuclear wastes. Though extreme caution is exercised by the concerned governments, the potential for disaster suggested by incidents such as those occurred at the Three Mile Island and Chernobyl still looms large in people’s mind. The borderless nature of the atmosphere and oceans has inexorably resulted in the implication of pollution on a planetary level with the issue of global warming. Lack of appropriate scientific data about recently detected group of chemicals such as PBDEs and PFCs, which is known by the term persistent organic pollutant (POP), in various ecological habitats far removed from industrial activity such as the Arctic, has rendered their effects somewhat less well understood. These chemicals demonstrate diffusion and bioaccumulation after only a relatively brief period of widespread use. India is already one of the most polluted countries in the world. Most of the Indian rivers, particularly the smaller ones, have been turned into toxic drains: Sabarmati, Bhadar, Yamuna, Damodar, Chaliyar, Betwa, Noyyal, Bhawani, to name just a few. Groundwater, a major source of drinking water too, is becoming polluted, and is being depleted at a faster rate, resulting in the substantial lowering of level of underground water. There has been substantial increase in the levels of Air pollution in Indian cities in recent years. According to the air quality data released recently by the Central Pollution Control Board (CPCB), the air quality in most of the Indian cities is critically polluted in terms of suspended particulates. Delhi, India’s capital, is often regarded as one of the most polluted cities in the world. 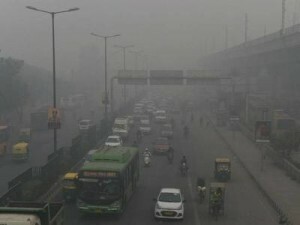 According to the World Health Organization (WHO), which monitors the air quality in about 20 cities of the world and Delhi indeed figures high on that list – Delhi is not one of the most polluted cities in India now, particularly in the aftermath of the introduction of the CNG-operated buses and closing of the polluting industries. Apart from Delhi, other cities like Surat, Patna, Jharia, Faridabad, Kanpur, Agra and Ankleshwar are reported to have still higher levels of particulate pollution. In other words, the scenario of air pollution in Indian cities is assuming serious dimensions. It is saddening that quality of pollution monitoring is poor in many cities. There are certain cities where air quality monitoring facilities are not even available. Besides, even in cities where air quality is monitored, the number of monitoring stations is very small. It is reported that a large number of critical pollutants remain unmonitored in many cities. According to a study undertaken by a Delhi-based NGO, the Centre for Science and Environment, what pollution control boards monitor in the name of suspended particulates is Total Suspended Particulate Matter which hardly any industrialized country in the world monitors today. This study further mentions that it happens because particles which are bigger than 10 microns – that is, one-millionth of a metre — in diameter do not penetrate the respiratory system much. Over two decade ago most industrialized countries had switched to measuring only PM10 – that is, particles of or less than 10 microns. There is only one station in India – in Delhi – where PM10 monitoring began in 1998. India is way behind and will be so even in the future. Now most advanced countries are moving to measuring PM2.5 because particles of this size are far worse than PM 10. Because of the preponderance of 2-stroke scooters on India’s roads, another major pollutant in India’s urban air is benzene – a potent cancer-causing agent like particles. This too is not monitored in India. Prior to the intervention of the Supreme Court of India and some High Courts, neither the Central Government nor state governments had cared to formulate a well-concerted plan to control the menace of pollution in order to bring it to acceptable levels. Viewed in a broad perspective, power plants, industries and vehicles are the biggest sources of pollution. The vehicular pollution is growing at absolutely astonishing rate. The rapid pace with which industrialization, power generation, motorization and urbanization is taking place, the pollution levels are bound to increase manifold unless major efforts are made to control it. That is, unless we very carefully take an environment-friendly path for industrialization, power generation, motorization and urbanization. Unlike the western countries, where concern for clean environment started gathering momentum during the decades of the 1970s and 1980s, India still lags behind in that realm. And this lag can be explained for three key reasons. In the first place, pollution control has yet to become an electoral issue in India. Political parties in India seldom show any serious interest in controlling pollution. They lack clear-cut strategy to take on the big polluters – the corporate sector, which too has shown a singular lack of interest in controlling pollution. Despite the stringent measures enacted by the Government, many of the government’s own companies and power stations continue to be heavy polluters. And political parties do not want to take on the small polluters either – the small-scale units or the small taxi owners/three-wheeler owners because they constitute important vote banks. In this way, India’s electoral democracy is proving to be very weak to confront the scourge of pollution. Under these circumstances, it is unlikely that this situation will be transformed in any real sense in the near future. Secondly, pollution control calls for observance of discipline and effective regulation. Given the state of political and bureaucratic corruption, again it is extremely unlikely that pollution control laws will be enforced with any level of effectiveness. Thirdly, pollution control requires heavy investment for which government endeavours alone are insufficient and private sector should come forward to invest in pollution-control related projects. Management of pollution control is not an easy task and it requires concerted efforts and involvement of all segments of the society to effect the changes in the existing system which has been slow in dealing with the problem of pollution. Apart from the legislative measures enacted by the central and state governments from time to time with regard to pollution control, involvement of people at all levels in the management of pollution control is of equal significance. As pollution affects every segment of society, hence its solution also lies in making it a mass movement in which people are involved from the decision-making level to implementation levels as well. The Pollution Control Boards, both at the Central Government level and State Government levels, should increase the pollution monitoring units in the cities to monitor air quality and water quality. Besides, these monitoring units should be equipped with latest monitoring mechanism. The following additional suggestions also merit consideration and speedy implementation. Pollution should be made a people’s movement in which general public should participate at local level to oversee that official agencies entrusted with the task of maintaining quality of water are discharging their duties properly. Some sort of financial relief should be provided to private sector firms participating in the pollution control related measures in order to motivate them. Such a measure would reduce the burden on government exchequer and it can ensure forging of cooperation between the government and private sector in managing the pollution control. Voluntary organizations should be involved in managing pollution control. These organizations can be entrusted the task of making the people aware about the nature and magnitude of the problem of pollution and the means of managing it. A nodal agency under the Union Ministry of Environment should be set up to coordinate with the state governments and NGOs engaged in managing pollution control to prepare informative literature on different aspects of pollution as well as containing short-term remedial measures in vernacular languages for disbursement among the people. Extensive use of mass media, especially the Doordarshan and private TV channels should be made to disseminate the message of pollution control. Simple precautionary measures to be taken by the public should be highlighted. Two-wheelers and three-wheelers should be encouraged to use CNG kits and this will help in containing air pollution. The people should be properly educated and encouraged to use clay idols during the festivals of Durgapuja and Vinayak Puja occasions at the time of immersion in the rivers or seashore. The use of plaster-of-Paris in preparation of these idols should be replaced by clay and this help in containing pollution of the rivers. Heavy monetary fines should be imposed on vehicles, industries and other units found flouting environmental norms.